As a prevention-minded dental office, we place a lot of emphasis on patient education and promoting products that can keep your smile beautiful and cavity-free. 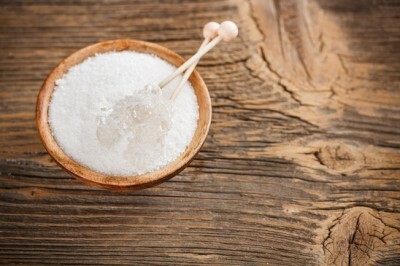 One of the best ingredients around is xylitol, a decay preventing sweetener. Xylitol is a natural sugar alcohol that cavity-causing bacteria cannot ingest. It is found in the fibers of many fruits and vegetables, and can be extracted from birch, corn husks, oats, certain berries and some mushrooms. There are several natural sugar alcohols that you may recognize as sugar substitutes, including sorbitol and mannitol. These are all natural sugars that are commonly used in the food industry in combination with high intensity artificial sweeteners. Xylitol is notable because it equal in sweetness and form to sucrose (table sugar) and can be used in many of the same ways, including candies, on cereal, in beverages, and in baking (except when needed for yeast to rise). Xylitol actually inhibits cavity-causing bacteria from growing in your mouth! With prolonged use over time (especially when combined with a healthy diet) the bacteria population in your mouth changes because the cavity-causing bacteria cannot survive on the tooth surfaces without nutrition. This all amounts to less plaque formation, less acidic bacterial byproducts, and less cavities. Xylitol is pretty easy to come by as well. Lots of common mint and chewing gum products already contain xylitol and you can obtain many other products from health food stores or online sites. Keep in mind that to be effective for cavity prevention purposes, xylitol should be the first item listed on the product’s ingredients. For best results, xylitol products should be used 3-5 times a day and the duration of use is important. If you use xylitol products in very high amounts, also be aware that it feels a like a high fiber diet on your digestive system, so take it easy unless you’re used to this kind of diet. Xylitol has proven to be both effective and safe. The U.S. Food and Drug Administration, the World Health Organization’s Joint Expert Committee on Food Additives, and the European Union’s Scientific Committee for Food have all given xylitol the green light for use as a sugar substitute.